Take the acute difference of opinion between Sardar Patel, the Deputy Prime Minister and ‘Panditji’, how Nehru was then called by Congressmen. 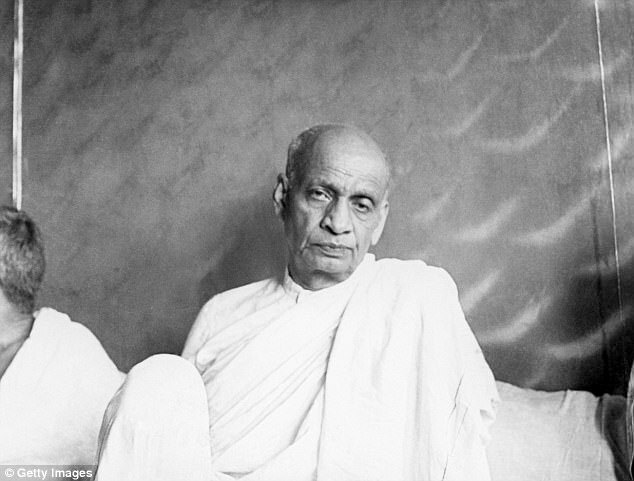 In the last weeks of Patel’s life (he passed away on December 15, 1950) there was a deep split between the two leaders, leading to unilateral decisions, for which India had to pay the heaviest price. The most serious apple of discord was Tibet’s invasion by the Chinese ‘Liberation Army’ in October of 1950. In the course of recent researches in the Indian archives, I discovered several new facts. Not only several senior Congress leaders, led by Patel, violently opposed Nehru suicidal policy, but many senior bureaucrats too, did not agree with the Prime Minister’s decisions and objected to his policy of appeasement, which lead India to lose a peaceful border. A month after the entry of the People’s Liberation Army in Tibet, Patel sent Bajpai’s note under his own signature, to Nehru, who decided to ignore thes Deputy Prime Minister’s letter. Bajpai, the most seasoned Indian diplomat, even lost his cool, witnessing the nefarious influence of KM Panikkar, the Indian Ambassador to China, who ceaselessly defended the Chinese interests. Sir Girja, Panikkar’s direct boss, became more and more frustrated with the Ambassador who reported to ‘Panditji’ only; after the Tibetans lost Chamdo, the capital of Kham province, Panikkar argued: “I should like to emphasise that the Chinese firmly hold that Tibet is purely an internal problem and that while they are prepared in deference to our wishes to settle question peacefully they are NOT prepared to postpone matters indefinitely.” Beijing was hinting that the Tibetans were been ready to seat at the negotiating table. It was a pure lie. Bajpai then prepared a draft for Patel to write to Nehru. Some more details of the seriousness of the situation filter through Inside Story of Sardar Patel: The Diary of Maniben Patel, the daughter of the Sardar. An entry on October 30 shows Patel deeply disturbed by Nehru constantly interfering in his ministry: “Jawaharlalji now trying to interfere in States' Ministry! If he has no confidence, why doesn't he tell Bapu [Patel] directly to quit,” writes Maniben. The same day, Patel tells VP Menon, the Secretary of his Ministry, "You tell Rajaji that I don't want to keep the States Ministry". Gopalaswami Ayyangar was allotted the Ministry of State and Nehru kept the Ministry of Home. The question is why nobody has ever research these important historical issues.